We recently received two cd’s for review from Orbital Productions. 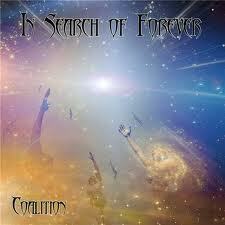 The disc we are paying most attention to here is “In Search Of Forever. Not to be mistaken with Chick Corea’s “Return to Forever. To all intense and purpose, Coalition is the musical vehicle of Steve Gresswell (writer, keyboards and drums) who in turn solicits the expert help of guitarist Phil Braithwaite and singer song writer Paul Bulger. Despite being relatively unheard of the musicians here present are of the seasoned and traditional school and it can plainly be heard from the outset. Both of the albums, the second of which will be discussed later are for the more guitar orientated prog lover i feel though this is no bad thing. however, these albums come with the now despised label of prog metal. This however i feel a little, over-states the out actual findings of both albums. I found that “In Search Of Forever” was an album like some others we have recently reviewed that actually lend themselves to a proper music playing system rather than a portable device or a car cd player. “Rise Of The Pheonix” Really does shine! Whilst being a powerful piece i totally reject the metal tag here though the following “the Journey” is certainly getting close. Back down to Earth a little with “changes” shows Steve Gresswell’s talent for using some really great keyboard samples and knocking holy hell out of the drums too. This again is probably the most like Camel that the band gets. I make no apology for making such comparison as I really do feel that it is a fair enough accolade to inpart upon anyone. Elsewhere on the album can be found “Dawn Of Time” Which I have to admit is without doubt my favourite piece. Phil Braithwaite’s blistering guitar is bolsteres by Steve Gresswell’s equally enchanting keyboard support. This song like many others on the album reminds me of American intervention into Prog like Kansas, Styx, et al yet failed to acheive the very Englishness of it all. No such downfall here, sterling stuff. Concuding with the large uneasing power chords of “Reflections” I would suggest that “In Search Of Forever” is Prog with grit and not merely tagged as prog Metal. A shocking title if ever i herd one. The second of the discs from the House of Orbital “Visions – The Inner Road” is strictly instrumental, dispensing with Mr Bulger’s Latimer-like vocal talents. It has to be said that there are some great moments on this album. whilst listening to the album in the confines of the car i was drawn more to the guitar than anything else. It is only when i spun the disc in my hi-fi that i realised just how bloody good the keyboards were too. the opening “Hidden sea” is nothing short of stunning and clambers headlong into “day of The sun” which to be honest blew my socks off. 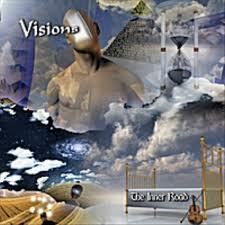 “Visions” as an album is more symphonic in style and born from prog pieces which didn’t sit with the Coalition song based materiel hence the renaming of the the now duo to “The Inner road”. There are some fabulous compositions on the “Visions” album and i would cite “Life” “The Lost Man” “Dreamcatcher” and the title track “Visions as simply a joy to listen to. “Eclipse/beyond The Horizon” a fitting conclusion to great listen. Souring synths and Wakeman-like orchestration fabulous. whist listening to both of these discs i could’nt help think to myself that these are a band i would like to see live. After protracted listening it dawned on me that it’s all in the name. Cohesion being the major part of their talent. There are so many musical threads interwoven throughout the album it is impossible to fully appreciate either disc on first listening or on anything else than a decent hi-fi. I must admit to having a little trouble with some of the heavier guitar forays when i fisrt listened to both albums, i now find myself transfixed. if you are in the mood for some classic prog yet require a little zip, look no further, you’re safe in these guys hands. Available from CD Baby, iTunes, Amazon and other good music retailers.